Forty out of 61 people who were detained in İstanbul while in hiding because of an ongoing government witch-hunt targeting the Gülen group were arrested on Monday. Last week, 61 people were detained in an investigation into Gülenists who were in hiding in İstanbul. 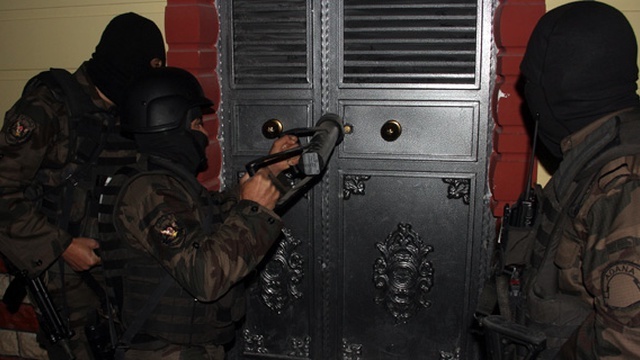 The detainees included Sadettin Ulubay, the owner of Emex Hotels. Ulubay was also arrested on Monday. Turkey survived a military coup attempt on July 15 that killed over 240 people and wounded more than a thousand others. Immediately after the putsch, the Justice and Development Party (AK Party) government along with President Recep Tayyip Erdoğan pinned the blame on the Gülen group. According to a statement from Turkish Justice Minister Bekir Bozdağ on May 6, 149,833 people have been investigated and 48,636 have been jailed as part of an investigation targeting the Gülen group since the July 15 coup attempt in Turkey.